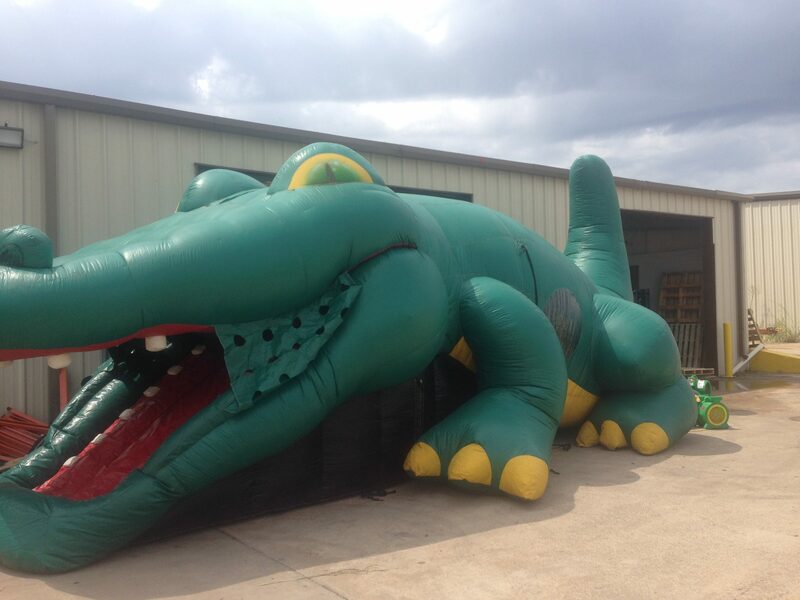 The gator hide in slide inflatable combination unit will be the wow factor at any festival, school party, company picnic. 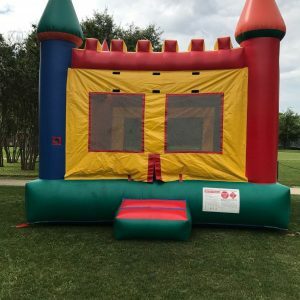 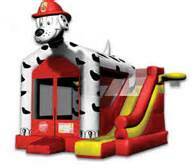 Children enter this fun filled inflatable by climbing up the rock wall mouth of the gator, open the inflated doors and slide down into the giant bounce area filled with inflatable themed pop-ups. 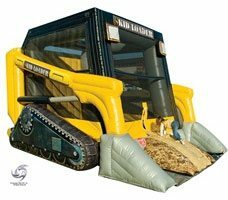 The Gator has sever clear windows for parents and operator to watch the children. 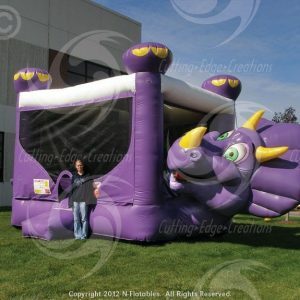 When children are done they slide out the opening near the tail.